I'm here to wish you a most joyous Easter and to bring you a little smile. I hope you enjoy my twist on a fun Easter card. 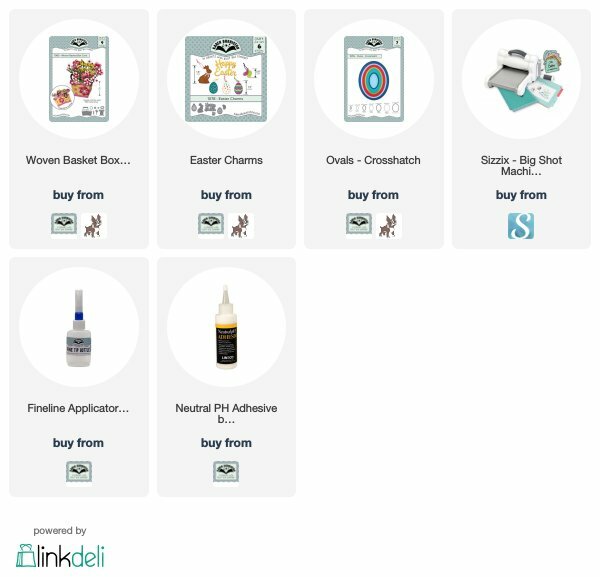 I have listed all the Elizabeth Craft Designs products below with a link you can click on to get a better look. 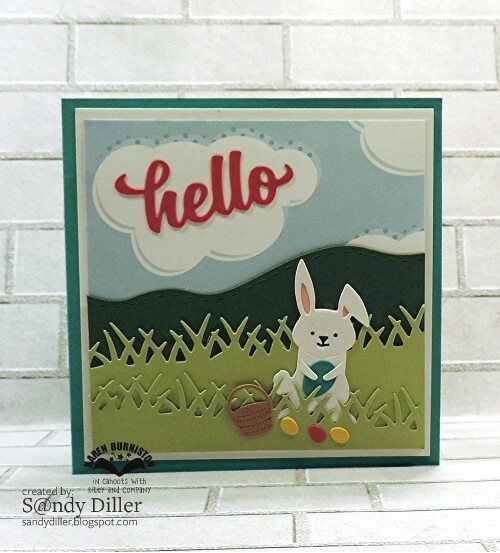 Today is the Paper Pros challenge and this month our theme is Easter. I had some fun altering my ovals into Easter Eggs using the Oval Frame die set from Karen Burniston. I wanted my card to be "eggstra" sweet. After cutting out the pop up portion as usual, I added some clear tape over the opening that would normally hold the extra pop up. I burnished the tape down adding extra strength when the card is finished. I next cut 4 eggs using a similar size egg die and added them to the pop up. After the glue was set they were trimmed off - not pretty from the back but that's ok as it will not show on the finished card. 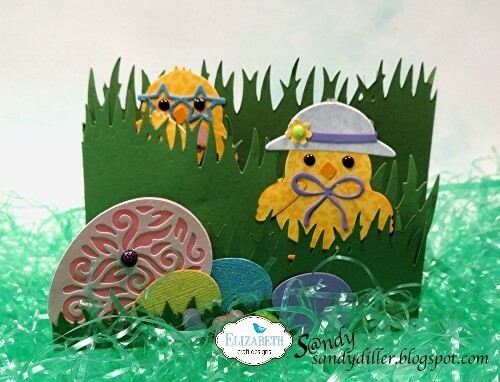 Using the Border Blends die set, I decorated each egg and added the panel on the inside of my card. To make the word eggstra, I used my Scan n Cut and the You're Sweet was just perfect after cutting it apart. This is a fun way to give your die sets a different look and feel which is something we all like. 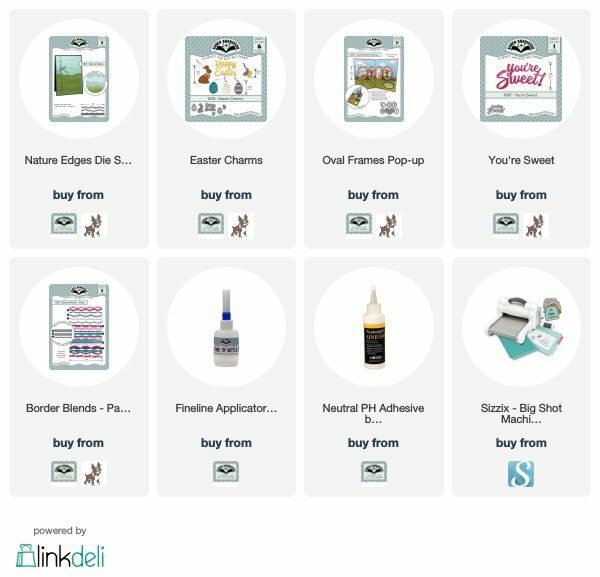 I've provided links below to the products I used on this card so you can shop with a simple click of your mouse. It's challenge time at A Vintage Journey and our lovely hostess, Nikki, has asked us to use neutrals. 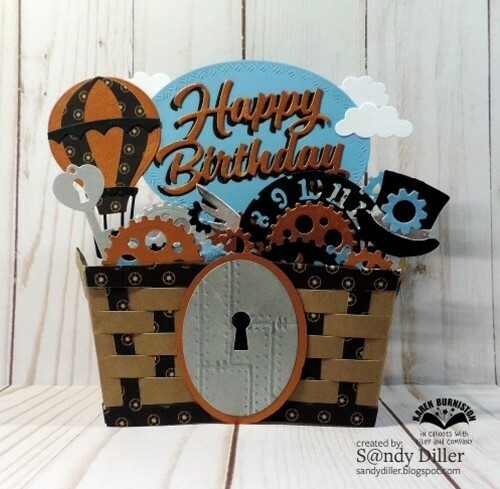 I first think of browns, yellows and manilas for this challenge and I have used lots of different shades of these colors for this card front. I am beginning to make plans for a family celebration in February when we will have guests from around the country to celebrate my wonderful parents 75th anniversary. When people ask my mom how long she has been married - her reply is "all my life". I had some packaging in my stash that I used for the background, it was the perfect color. 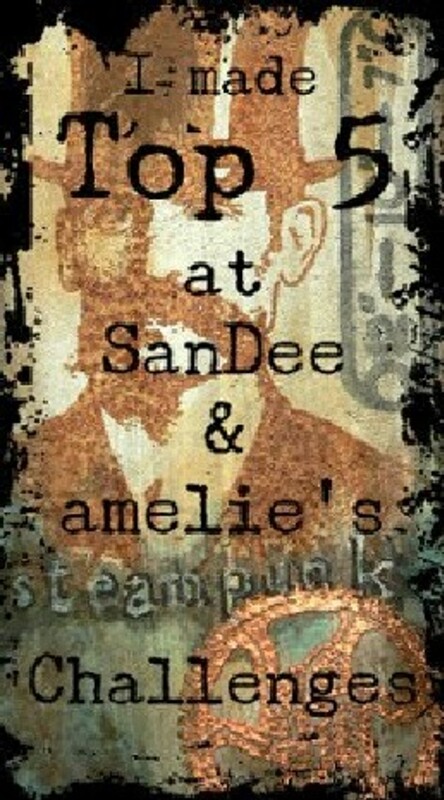 I also used some Tim Holtz Paper Dolls along with the Picture Wheel die. I had fun adding the faces to the wheel with their heads coming through the frame. I cut out the word FAMILY using my new Scan N Cut and added some darker ink. This is a fun and fast way to make a card that I'll use for the Thank You after the event. 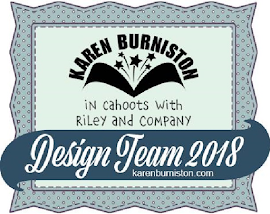 It's the first Tuesday of the month and that always means a Karen Burniston Designer Challenge. This month we are celebrating Spring and/or Easter and I think my project has both. 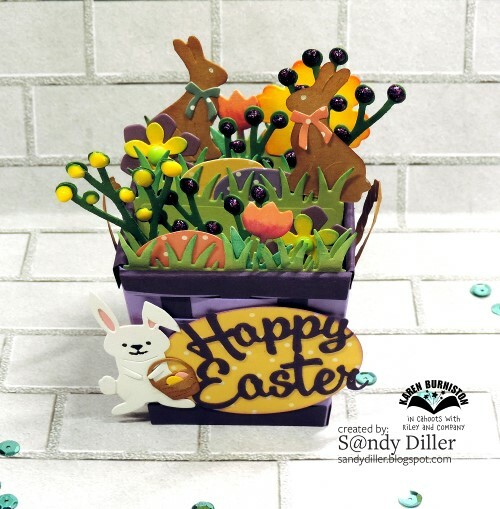 What is more fun than a Chocolate Easter Bunny in a basket filled with Spring flowers and eggs? I used Karen's Woven Basket to start with and then added some grass, eggs, flowers and chocolate bunnies. 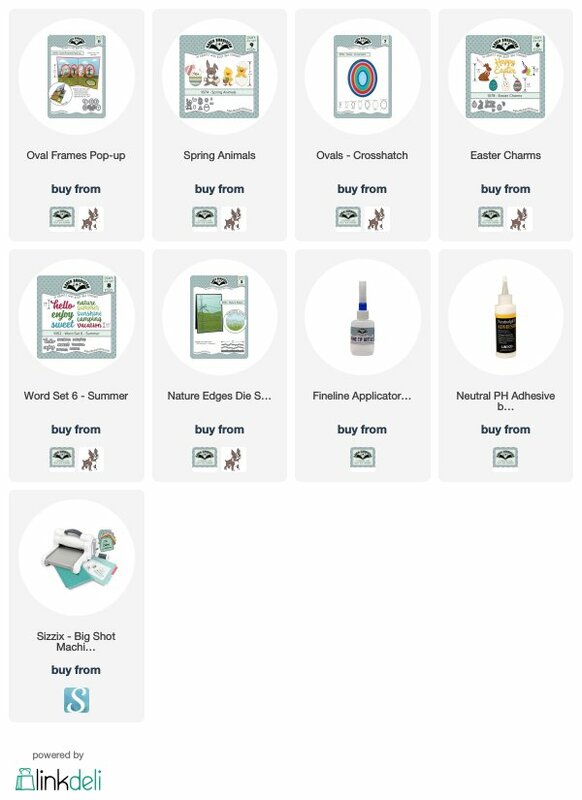 I've listed everything I used below so you can shop with just a simple click of your mouse. 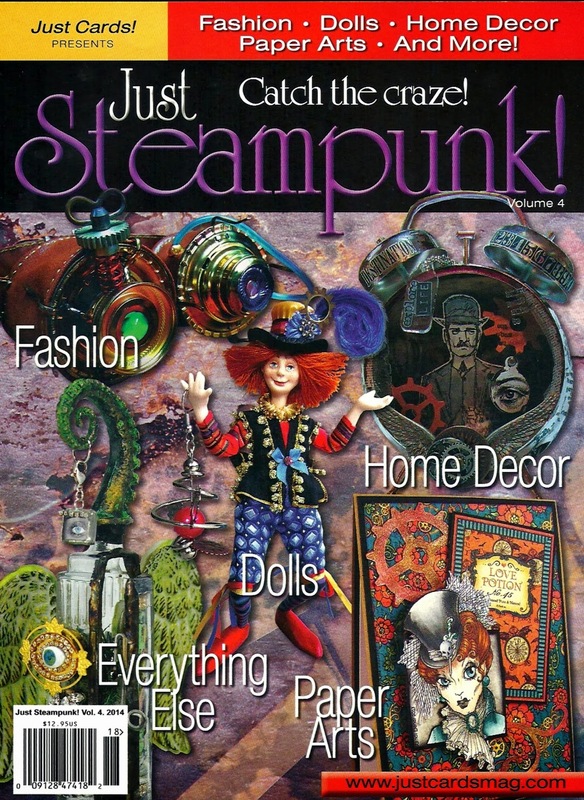 I love this basket because it so versatile, the two baskets below are made with the same die. I simply cut more pieces and kept the party going. This one was made using the double basket method. You can see Karen's video here on how it's done. I was inspired by Jessie Adams to make this one for my mom's 92nd birthday by cutting 8 pieces and making a bottom for it using my Scan N Cut. 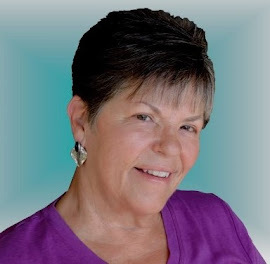 If you haven't already - you will want to join the Karen Burniston Pop Up Peeps on Facebook. 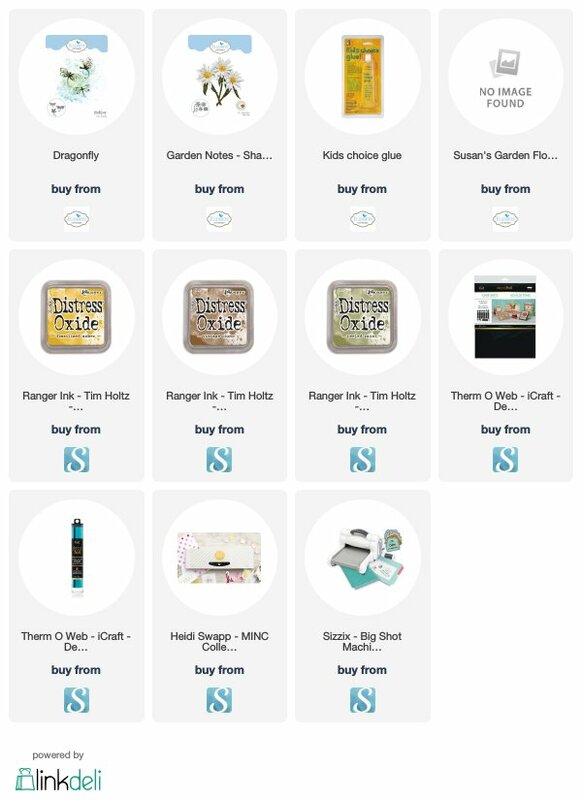 It is loaded with inspiration and great cards everyday. 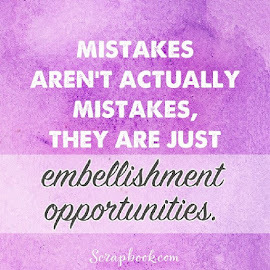 Be sure to catch Karen's new video tomorrow on her blog here. I always look forward to that. 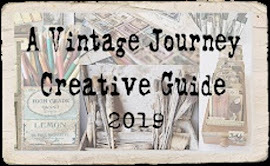 It's Tag Friday at A Vintage Journey and I'm celebrating the arrival of Spring with my tag. I just love a bright spring color along with some wonderful Shasta Daisies from Elizabeth Craft Designs. I've added some foil to my Dragon Flies to make them "SHINE". Happy Spring everyone! It's time to start thinking about Easter which is less than a month away. I have a cute card to share with you today to get those juices flowing. This is one of the new Karen Burniston Pop Up cards that looks difficult but isn't. 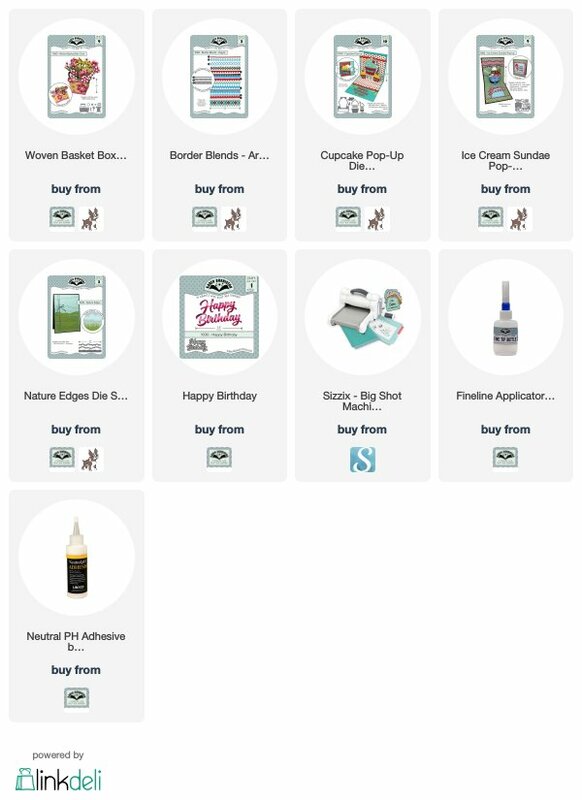 I have linked all the products below so you can shop with a simple click. Below you can see a closer look at the pop up portion. 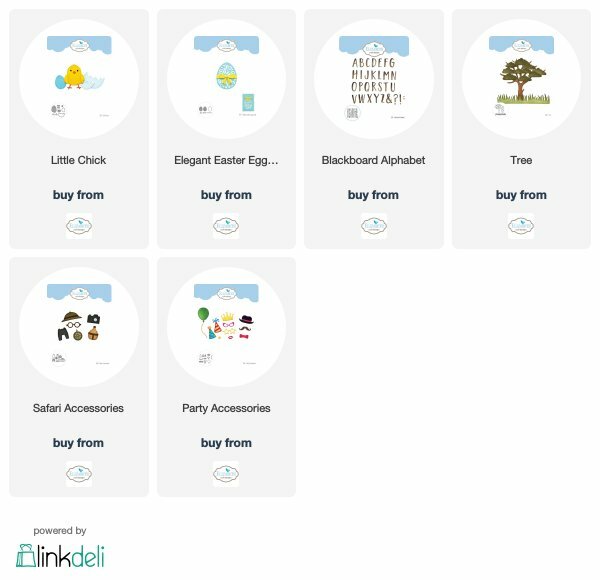 These little critters and flowers are just so adorable that you will want to use all of them. Start getting ready now - it will soon be here. Today is the Paper Pros Challenge and the theme this time is Spring Fever. I was totally inspired by a basket that I saw on Karen Burniston's Pop Up Peeps. It was made and shown by Jessie Adams. 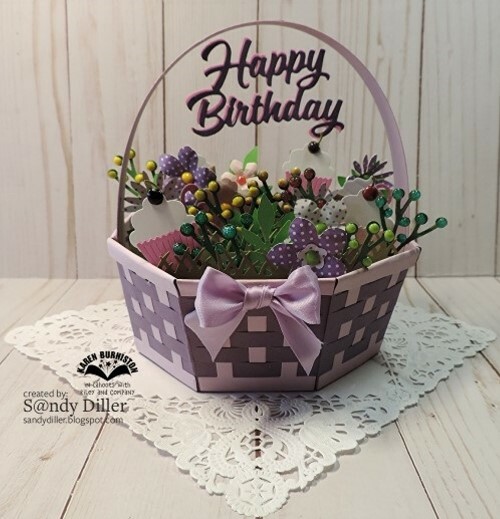 She made this wonderful basket so I just had to make one for my MOM's birthday which was Sunday. I filled mine with spring goodies. She was 92. She loved it. After cutting the Woven Basket Die panels 4 times, I wove them and put them together, holding them in place with a solid bottom that I cut using my electronic die cutter. I used strips of paper for the inside that were made to fit the basket and then added the grass pieces to them. I made a handle for the basket by adding a border from the new Border Blends. When my basket was all assembled, I added lots of flowers, cupcakes and ice cream cones. I hope you have enjoyed seeing this creation and try to think outside the box when using your dies.